You Can Keep Your Plan Until 2014 Election Period. If you hate politics, this latest speech by President Obama isn't going to help the situation. Due to the problems with the ObamaCare disaster, he has unilaterally decided that you can keep your insurance plan until the 2014 election. It is a brazen political move that shows a complete lack of compassion. "Already, people who have plans that predate the affordable care act can keep those plan if they haven’t changed. That was already in the law. That is what is called a "Grandfather clause" and it was included in the law. Today, we are going to extend that principal both to people whose plans HAVE changed since the law took effect and to people who bought plans since the law took effect. So, State Insurance Commissioners still have the power to decide what plans can and can’t be sold in their states, but the bottom line is issuers can extend current plans that would otherwise be cancelled into 2014 and Americans who's plans have been cancelled can choose to re-enroll in the same 'kind of' plan. We are also requiring insurers to extend current plans to inform their customers about two things. One, what protections these renewed plans don’t include. Number Two, that the marketplace offers new options with better coverage and tax credits that MIGHT help you bring down the cost." There is nothing that makes previously cancelled plans available at the previous price. Surprisingly, they did not promise additional subsidies to lower cost of new plans by using the federal treasury as a political weapon. This is president Obama's 20th "administrative" change to the law and it doesn't improve the situation for anyone. The president added, in response to questions, some very headline grabbing statements. "I think it is legitimate for them to expect me to have to win back some credibility on this healthcare law in particular and on a whole range of these issues in general. Thats on me. 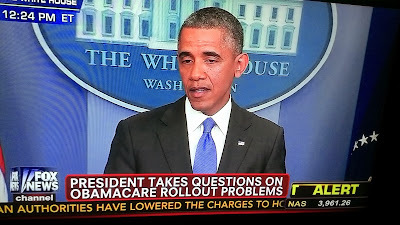 We fumbled the rollout of this healthcare law." "We are also discovering that insurance is complicated to buy." "Another mistake we made was underestimating the difficulties of people purchasing insurance online and shopping for a lot of options, with a lot of cost and benefits and plans. Uhh, and somehow expecting that would be very smooth and then they've also got to try to apply for tax credits on the website." "Part of what we are realizing is that there is a certain portion of people who are going to need more help and more hand holding in the application process. " The grandfather clause we put in place is almost like we said to folks you have to buy a new car, even if you can't afford it right now. This is what happens when one party rams complex laws upon the American people without reading the law. Doo Doo Economics and our allies at the San Diego Local Order of Bloggers have warned everyone about ObamaCare for years. These warnings were met with venom and hate by progressive. They threw human feces at my home. Now, that the shutdown and the tea party have been proven correct, Americans are met with a brazen political move designed to influence elections instead of doing what is best for America. With all this failure and breakage of the health insurance system due to ObamaCare, the president now promises that we won't get "dragged back into a broken system." The federal government is breaking our legs and giving us crutches then expecting us to be thankful. ObamaCare needs to be repealed. The law isn't a trainwreck, it is a jumbo jet crashing into a skyscraper. With all the discussion, no one in the media is explaining why insurance companies supported ObamaCare. The progressive-socialist vision is of a health care system without "greedy" insurance companies. The president on many occasions called ObamaCare a "transitional step" toward government run "single payer" health care. So, why did insurance companies support a law designed to destroy their industry? They were promised an unaccountable system ripe for massive fraud. The U.S. Government Accountability Office estimates that $1 out of every $7 spent on Medicare is fraud. ObamaCare was sold to insurance companies as a medicare-like direct payment system. A system where the IRS determines an individual's tax credit at the end of the year...after ObamaCare subsidies have been directly payed to insurance companies. If an individual claims too large of a subsidy, the IRS goes after the individual, not the insurance company, to recoup the money. John Insurance Consumer signs up for ObamaCare Silver Plan with ACME Insurance Company. John is not eligible for Medicare, but will get $1000 per month in tax credits through ObamaCare for a plan that costs $1400 per month. ACME Insurance Company bills John $400 per month and Uncle Sam is directly billed $1000 per month. 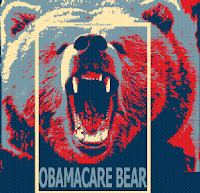 ACME Insurance Company is directly billing ObamaCare $1000 per month for John. If the IRS determines at the end of the year that John is only eligible for $750 per month in subsidies, they go after JOHN not ACME for the difference. 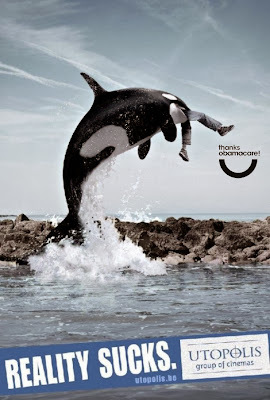 If John is an illegal immigrant, he is exempt from ObamaCare fines. Notice, if you will, no one in the media is explaining who pays the $1400 per month premium. A $1400 per month premium is a massive out-of-pocket bill. This is where, remember this term, ADVANCEABLE TAX CREDITS come in. How will premium subsidies be provided? The advanceable tax credits are determined by a series of income percentages. It is impossible to know precisely an individual's income at the beginning of the year or when they sign up for ObamaCare. So, insurance companies must ESTIMATE the amount of subsidy they receive directly from ObamaCare. No, but to spell it out. Medicare is exposed to massive fraud because its direct payments compensate billed claims. The claims are paid up front and are seldom held accountable. ObamaCare eliminates the fraudulent claims by making them estimates. They are estimates of advanceable premiums. The insurance company being paid the advanceable premium is not liable for bad estimates, individuals are held accountable by the IRS. This incentivizes individuals to report less income and rely more upon government subsidies AND it promises an unaccountable, uncapped fire hydrant of government payments to ACME insurance. ObamaCare, aka the PPACA, expands medicaid/medicare fraud from over billing by individuals and doctors to over billing by insurance companies. ObamaCare redefines "Insurance Fraud." The Congressional Budget Office (CBO) estimates the direct cost of premium and cost-sharing subsidies to be $350 billion from 2010 to 2019, and $8 billion in indirect costs. The cost of the subsidies is a function of the number of people that are eligible for subsidies, and how generous the subsidies are. In the best case, ACME insurance is vilified in an "Insurance Fraud" Sting. The more likely outcome is that the fraud would succeed. Jose would be exempt from fines and the tax payer would pay. The corrupt system would continue until it becomes politically expedient to demonize insurance in favor of Single Payer. This deception strategy was used in the Fast & Furious scandal. The U.S. Department of Justice & ATF sold machine guns, sniper rifles, grenades and other small arms to Mexican drug gangs. The ensuing crisis was intended to push gun control legislation by blaming "gun proliferation" on American gun owners. The ability to blame opponents for progressive policies was also used during the shutdown to blame Republicans for President Obama's shutdown of the government by refusing to delay the ObamaCare mandate. Insurance companies were swindled along with the American public. The administration appealed to their greed through fraud. 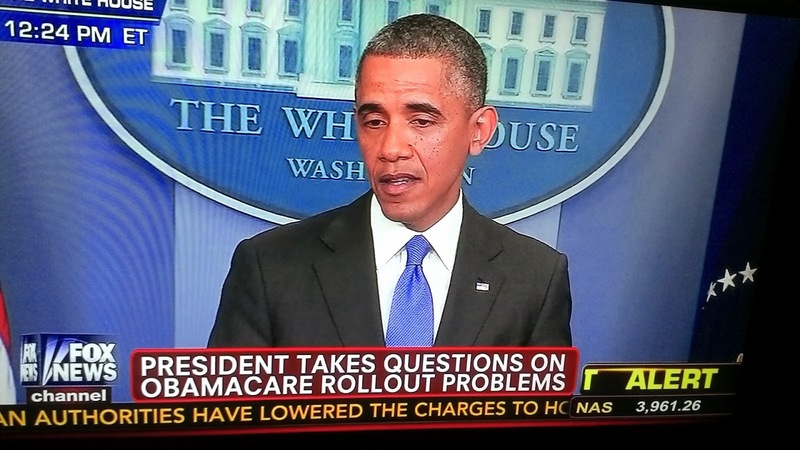 President Obama lied about Americans keeping their health insurance under ObamaCare. This lie is causing the loss of tens of millions of insurance customers according to estimates based on the (Un)Affordable Care Act, page 34,552. This suggests why healthcare.gov does not work. It is intended to be a scapegoat when dealing with insurance companies. When insurance executives question why customers are not materializing as promised, the administration points to the Youtube video...oops... the website. Between 15 and 93 million Americans will suffer the loss of health coverage. That doesn't matter to the progressive movement because the ideological ends justify the means. Individuals do not matter in ObamaCare because it is not a health care plan. It is an empty promise designed to fail and swindle us into government controlled "single payer" or "universal medicaid" health care. ObamaCare is NOT a train wreck. It is a jumbo jet crashing into a skyscraper.